This weeks Throwback Thursday takes us back to the depths of winter, January 2015 and the opening of The Crafting Kingdoms exhibition at Kings Museum, Aberdeen University, Aberdeen. After our trip to Aberdeen on the dark and chilly night we were given a warm welcome by the volunteers and members of the team who installed and curated this amazing summary of the Northern Picts. The exhibition told the story of the Picts in, what is now, Scotland and then focused into the domain of the Northern Picts (where I come from). 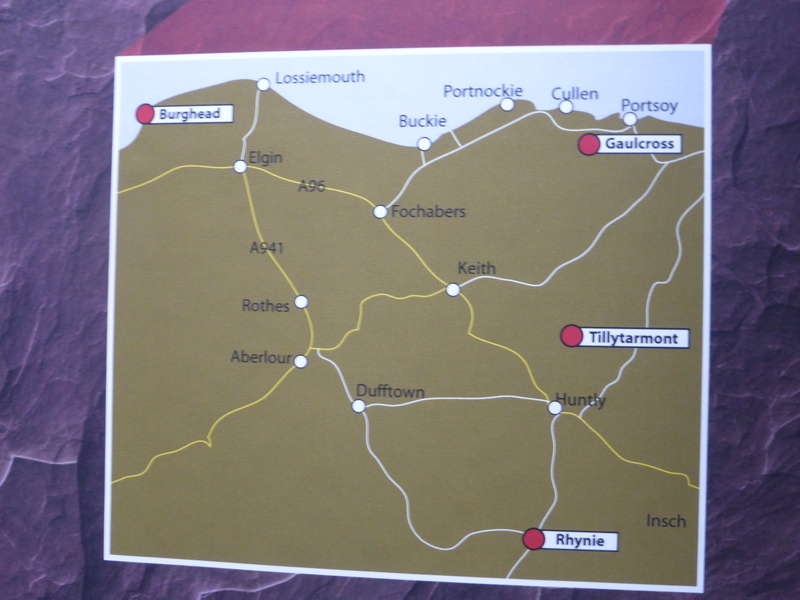 It also highlighted the key find locations in the North East called Cé (pronounced ‘he’ as in S’he’ and Bennachie) which includes Tillytarmont, Gaulcross, Rhynie and Burghead (which could now possibly be augmented with the find at Dunnicaer in April 2015). 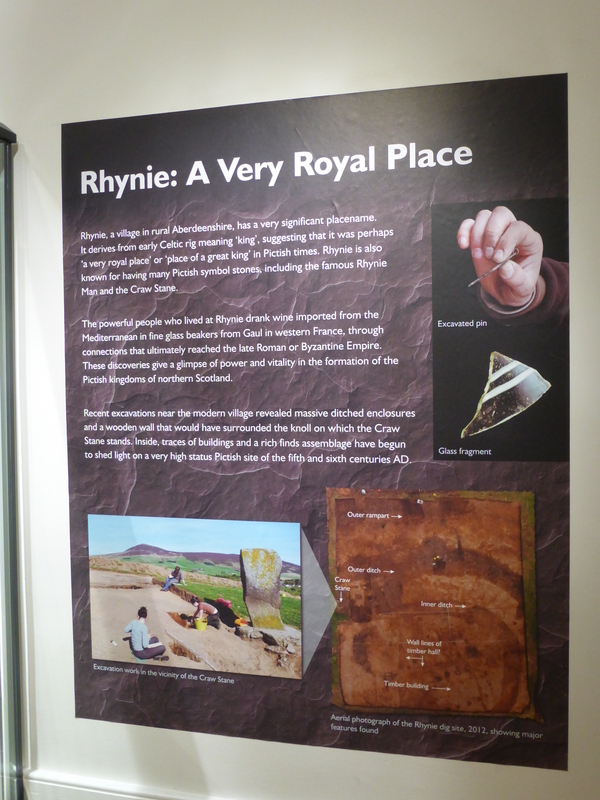 The exhibition was jointly curated between the Museum and Dr Gordon Nobel the lead archaeologist on the Northern Picts Project. The Northern Picts and our prominence in the North East of this island, which is now called Scotland. The gallery above shows the range and skill of craft(wo)manship that we had and were on show at the exhibition. I don’t think the Romans were that complementary about us but I would argue that we knew what we liked, had highly developed aesthetic skills and sense of style and design. We were also skilled traders and knew how to get hold of the odd bit of Roman silver when they weren’t looking! Rhynie a very royal place, of course! It’s great to see that our history has not been forgotten, even though the archaeologists have not found that much of what we produced and how we lived. 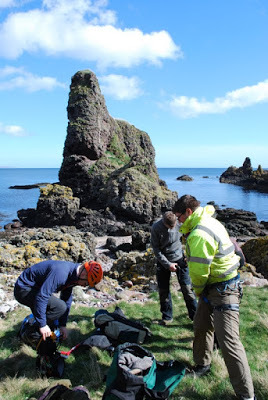 The exploration is continuing and inspiring groups and communities like SSW and Rhynie Woman. I’m happy in the knowledge that we won’t be forgotten, we just need to support these groups to make things happen. the team getting ready to climb Dunnicaer! There are lots of opportunities to get involved, whether it’s being involved in a dig, supporting a project or funding further research, so keep an eye on the Northern Picts facebook group and the Northern Picts Project website. They are currently trying to raise funds to do some more digging at Dunnicaer: on the sea stack, in the middle of the sea, with a big drop down off all sides, in the cold north wind where they need harnesses so they don’t blow away. I’m off to calm down, I can’t cope with heights either; where’s one of Daisy’s Tap of Noth buns when you need one!